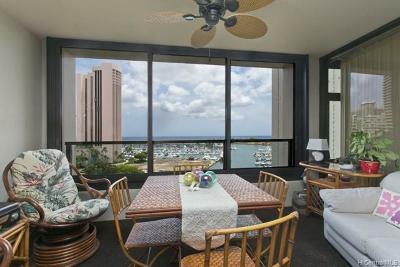 Located at the corner of Ala Moana Boulevard and Atkinson Drive, Yacht Harbor Towers were constructed in 1973 by developer Bruce Stark. 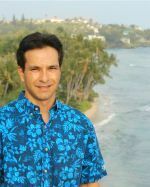 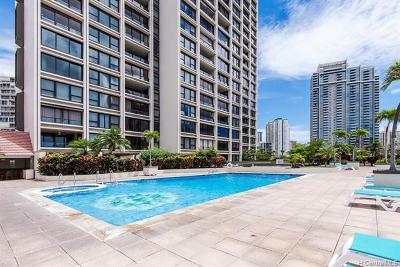 The tower on the ewa (west) side is addressed as 1600 Ala Moana Blvd, the diamond head (east) tower is 1650 Ala Moana Blvd. 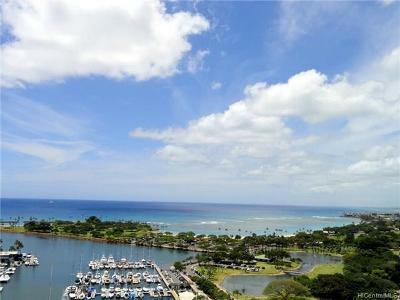 Yacht Harbor Towers have a great view of the Ala Wai boat harbor and Ala Moana Beach Park. 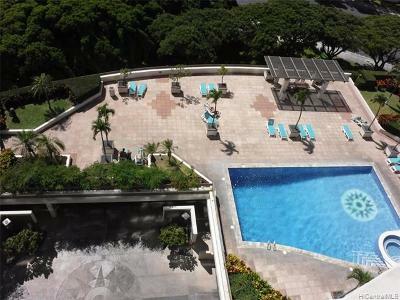 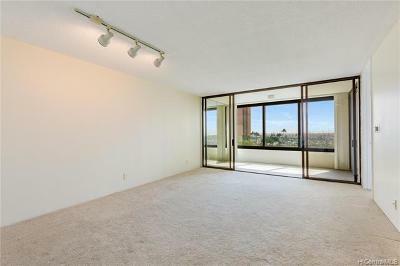 It's a short walk to the beach and Ala Moana Shopping Center, both being across the street from this property. 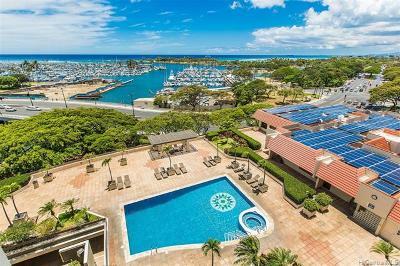 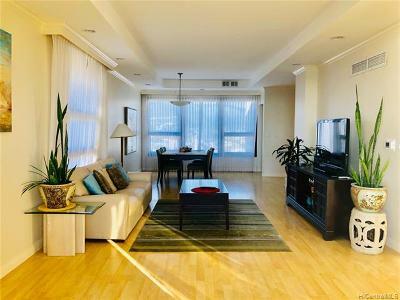 Amenities at Yacht Harbor Towers include central air conditioning, a swimming pool and a large deck overlooking the ocean, barbecues and a tennis court. 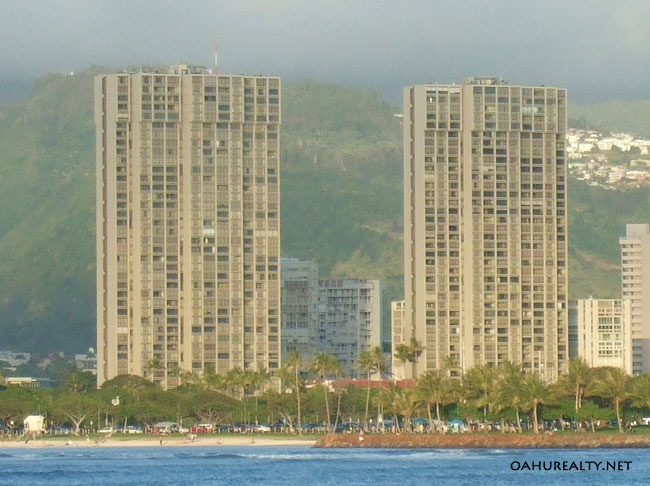 Each tower is 40 stories tall. 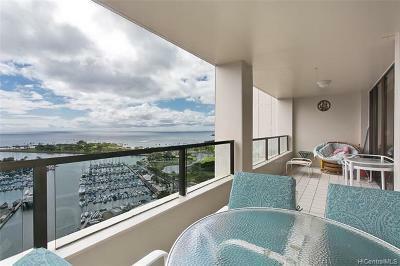 Owner occupancy rate is approximately 70%. 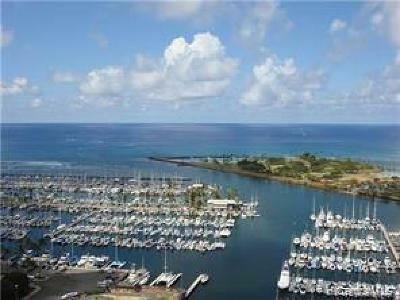 Yacht Harbor Towers has 205 one-bedroom units, 156 two-bedroom units and 20 three-bedroom penthouses.